Enjoy delicious, freshly-prepared food and a wide selection of drinks all served in a friendly and vibrant atmosphere. Our helpful and approachable staff will ensure that your visit to the Bowd Inn is as relaxed and enjoyable as possible. At the Bowd, we love what we do and pride ourselves on the service we offer! 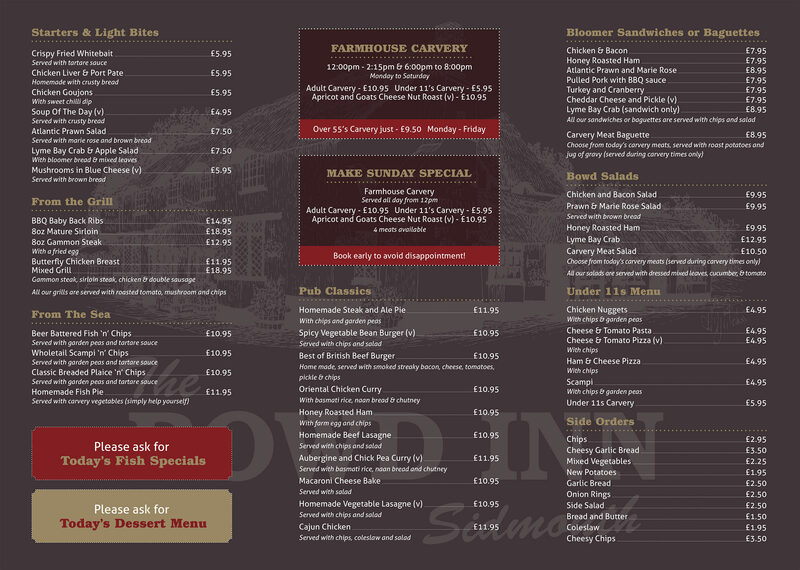 Whether you’re joining us for our farmhouse carvery or just popping in for a quick drink, we look forward to welcoming you and your family and friends to the Bowd Inn. If you’ve any questions, please do get in touch. ... thank you for looking around our website, hopefully you have found all the information you wanted, if you didn’t please don’t hesitate to get in touch on 01395 513328. Having operated The Halfway Inn, just a short distance away, We the Webb family had our eye on the Bowd Inn for some time. We saw its potential and beauty, and hoped that one day it would become available. Fortunately for us our chance arose in late 2013, and after many months of negotiation, a deal was struck and we received the keys in April 2014. "The food here just gets better & Better...every meal is faultess!" "If you're looking for good food, friendly service and great beer (and who isn't!) then give this place a go - you won't be disappointed." 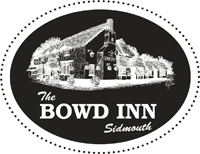 "Once again we visited bowd Inn, what can I say friendly staff and food outstanding. Once again top marks see you all again soon." "Great food, superb courteous staff, lovely building, lots of space outside, will see you again. Thanks very much." "Will go again when in the area, very nice food and good value for money"
"We just love, love love the carvery at The Bowd Inn..."